From ebooks to white papers to research reports: browse through these great learning resources on the business, methodology, technology, and practice of Customer Success. We're passionate about listening, learning, and developing best practices - and then passing them on to you. View and download valuable resources to help your company improve and accelerate customer success. Workfront, an enterprise software company that develops cloud-based work management and project management software, was dealing with low adoption of their product, poor reporting functionality on their customers, and no effective way to measure customer health. They needed to find a more effective way to manage their customers and made the decision to implement Totango. Customer-centric enterprises no longer focus exclusively on account management, customer support, or client services. Download this Totango ebook to learn about the 6 ways best-in-class companies are driving the highest levels of customer success. Download our 2018 Customer Success Salary Report to see the results of our latest survey. Report includes detailed salary trends for customer success managers, vice president of customer success and director of customer success. Determining the customer journey is the first step in establishing a customer success strategy. It essentially maps out the ideal path to attain recurring value for your customer so that your organization gets recurring revenue. A robust customer success strategy needs to involve the entire customer journey – not just onboarding or renewals. To maximize customer value, all stages need a specific plan to ensure customers get the right level of engagement at the right time. The first 90 days will decide the fate of most implementations. While the complexity of your product could shift the timeline, if a customer feels let down during onboarding, then the journey ahead could be precarious. 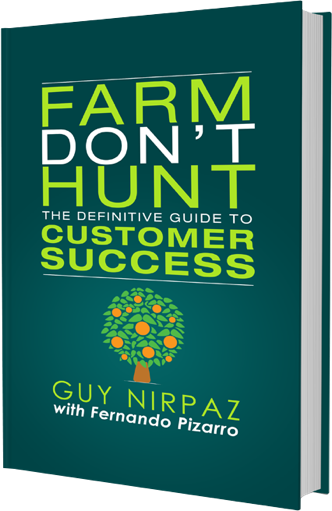 Customers and customer success teams will spend most of the customer lifecycle in the nurture or growth stage. Also known as the adoption stage, customer nurture begins at the point of first value and continues until the customer renews; then the process starts again. Zoe enables a customer-centric culture. Leverage Zoe’s conversational interface to access customer data and empower everyone to align on customer success missions. For most companies, driving product adoption is a top priority in retaining and expanding the customer base. With high product adoption, companies can easily turn existing customers to product advocates, providing social proof that leads to more new customers. Download Totango's ebook to learn the top 12 reasons your customers abandon ship, and how to combat them. Use these tips to improve retention, increase upsell, and improve customer advocacy, regardless of industry or vertical.